Anthony J. Stone was charged with first-degree burglary and six counts of first degree-theft. 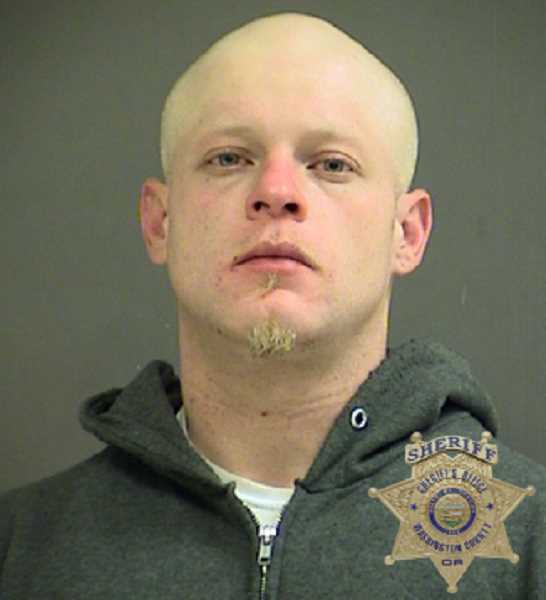 A Hillsboro man was arrested on burglary and theft charges, Sunday, Feb. 3, after police say the man attempted to steal firearms from a home in rural Hillsboro. Anthony J. Stone, 35, was taken into custody and charged with first-degree burglary and six counts of first-degree theft, according to the Washington County Sheriff's Office. "When confronted by the homeowner, the suspect turned over the stolen guns and fled on foot," deputies said in a statement. Deputies were assisted in the search by Hillsboro police officer Denise Lemen-Sipp and her K-9 partner, Dozer. The dog found the suspect hiding approximately a block away after a 10-minute search, according to WCSO. All of the firearms were recovered by the homeowner and Stone was lodged at the Washington County Jail.